Petite Blanc Patisserie:My favourite macarons! 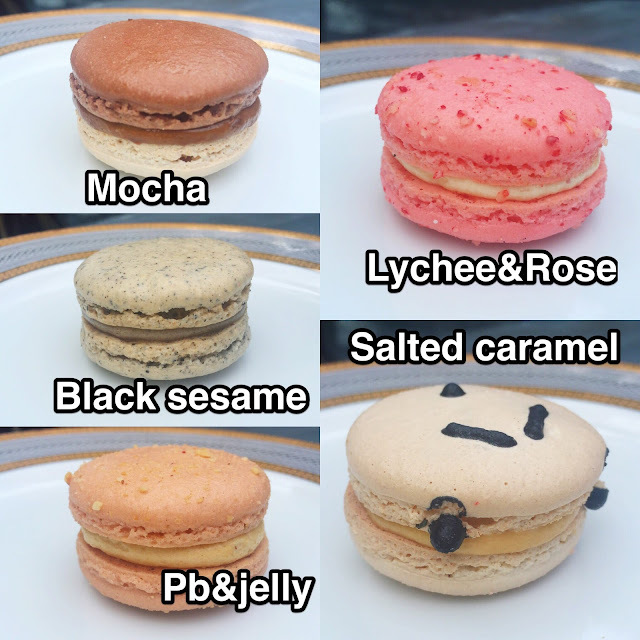 I have a sweet tooth!I love desserts.I love eating them and baking them.So in this blogpost I will talk about why I love the macarons from Petite Blanc Patisserie! 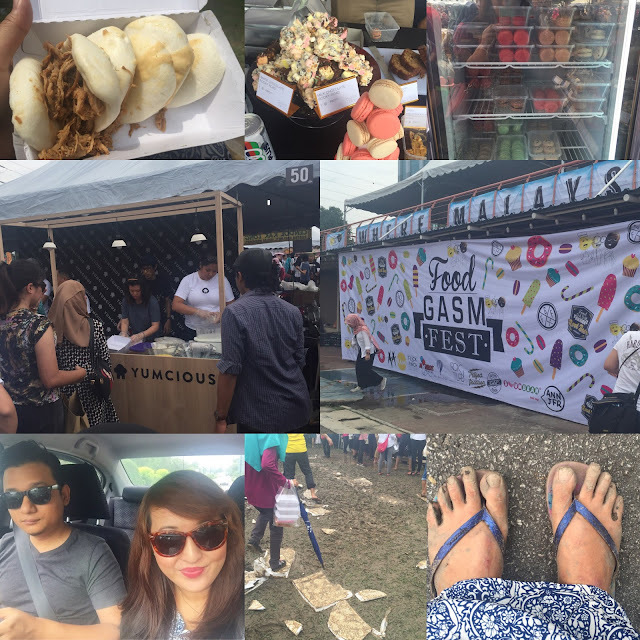 About 2 weeks ago,my husband and I went to Foodgasm Fest(which was a bust!). Now as you've heard,Foodgasm Fest was..a bit of a failure(congested area + crazy muddy field) but actually we had no trouble finding a parking space(parked at PJ New Town & it was 5 mins walking distance to the venue) or had to endure traffic because we came there around 12pm(2 hours after the event started). But because the event only happened for one day,a lotttt of people came to it and the crazy muddy field didn't help.Below is the picture of what transpired. Eventhough the muddy field was because of the heavy rain we've been experiencing...I believe that the organizer should have warned the people who were coming to the event via their instagram account/facebook how muddy the field was..so that people wore their slippers/rainboots and not in their expensive shoes(thankfully husband and I wore our flip flops).They did no such thing and on their instagram page,the place looks very nice and dry!hurmph. Moving on...let's talk about the highlight of my Foodgasm Fest experience..I stumbled upon Petite Blanc Patisserie!Bought a box of 5 macarons from them.Came home,tasted them and I was on cloud nine! 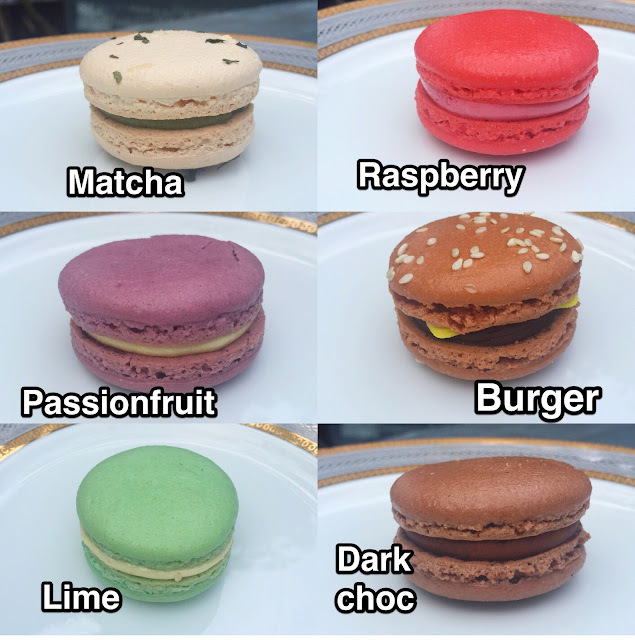 I've eaten macarons from Laduree (Paris,not Singapore! )and I can tell you that these macarons are comparable to that.I've also eaten a lot of macarons from various bakeries here and Petite Blanc is the best so far.It's hard to choose a favourite!Petite blanc was so generous in giving me a box of all of their macarons and also their joconde cakes. They also make joconde cakes.Now joconde cakes is something that I've never seen or ate before.It was cool to find out that these cakes are gluten-free.There's no flour in them but they're moist! 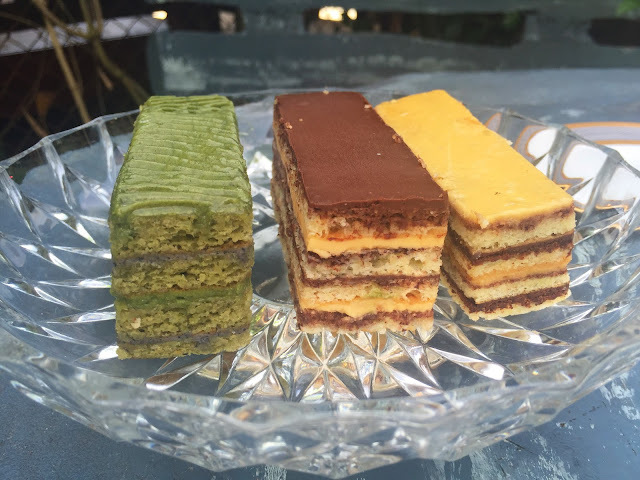 There's three types of joconde cakes from Petite Blanc Patisserie. 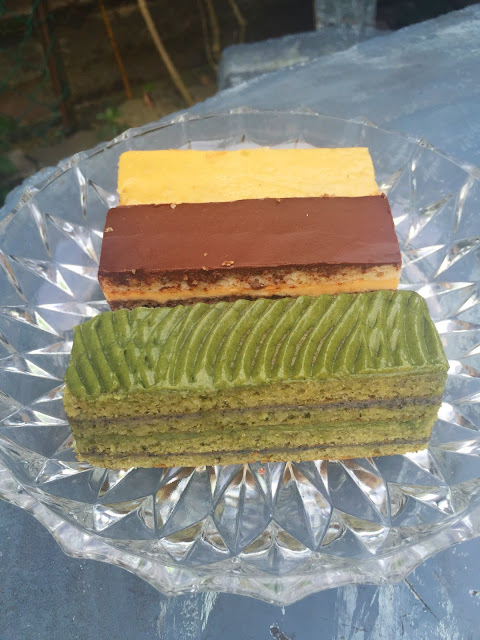 Kimochi (matcha joconde with matcha buttercream and black sesame white chocolate ganache), Spread (plain joconde with peanut butter buttercream and dark chocolate ganache), and Briny (plain joconde with salted caramel buttercream and dark chocolate ganache).I love them all!